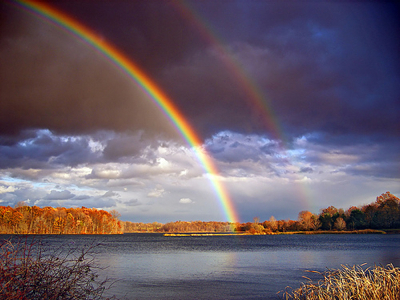 Rainbows are optical and meteorological phenomena in the form of multicolored light parallel to one another that looked at the sky or other medium. 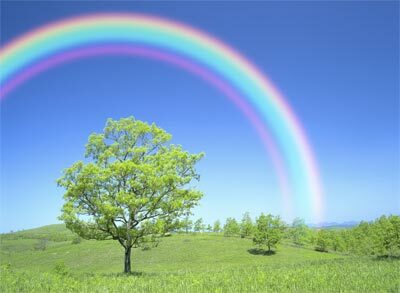 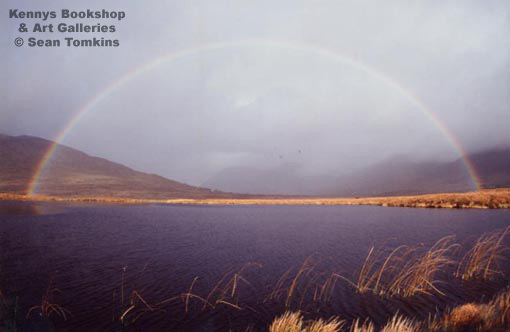 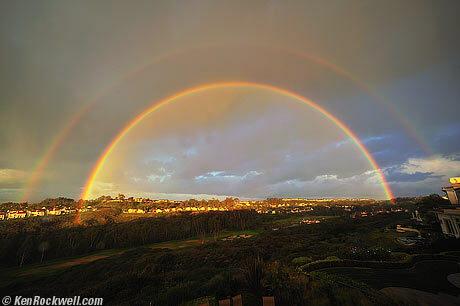 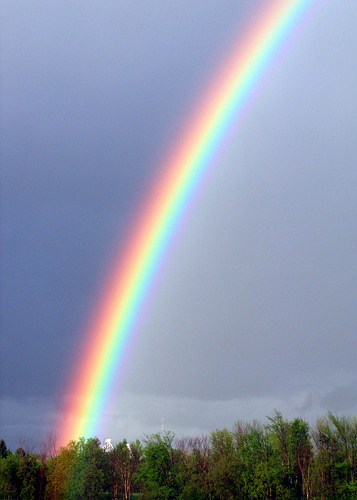 In the sky, a rainbow appears as an arc light with a tip leads to the horizon at some point a light rain. 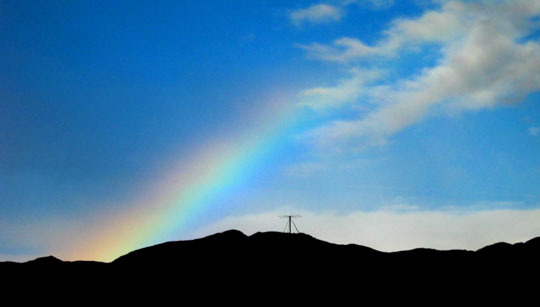 Rainbow can also be seen around a rushing waterfall.